DESCRIPTION 14 foot by 72 foot mobile home, built in 1980 (according to Village of Lomond records), located on 50'x120' lot in the Village of Lomond. This property is being sold in "as is where is" condition. There is a sunken living room, kitchen, den, laundry area, full bathroom with low flow toilet, and bedroom. Roof appears to be metal, with patches. There is a lot with shop located next door to this property. Home for sale at 228 Centre St Lomond, Alberts T0L 1G0. 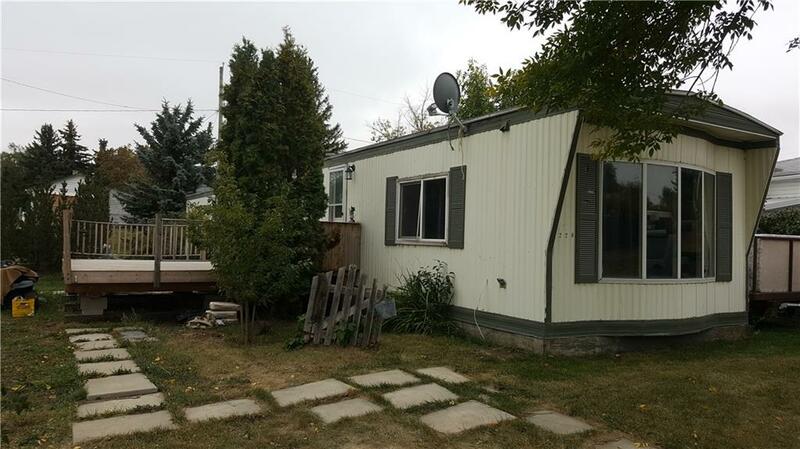 Description: The home at 228 Centre St Lomond, Alberta T0L 1G0 with the MLS® Number C4224685 is currently listed at $24,300.